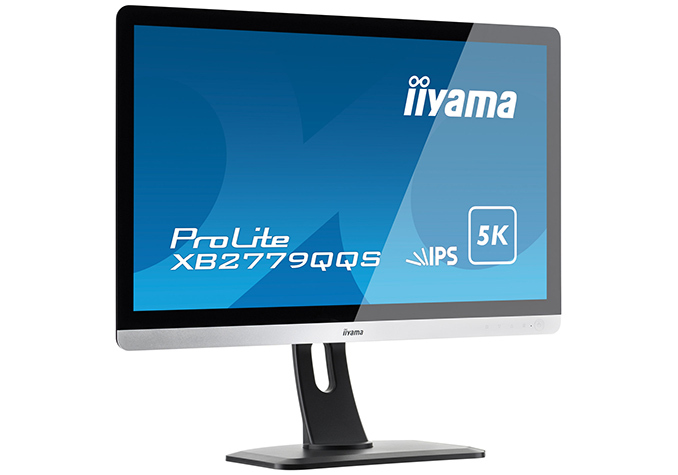 Iiyama has started selling its new 5K IPS monitor. The ProLite XB2779QQS boasts with a 5120x2880 resolution and is available at a price point of around $900. The catch? It has a rather thin feature set and it can only display 5K resolution over a DisplayPort 1.4 interface. 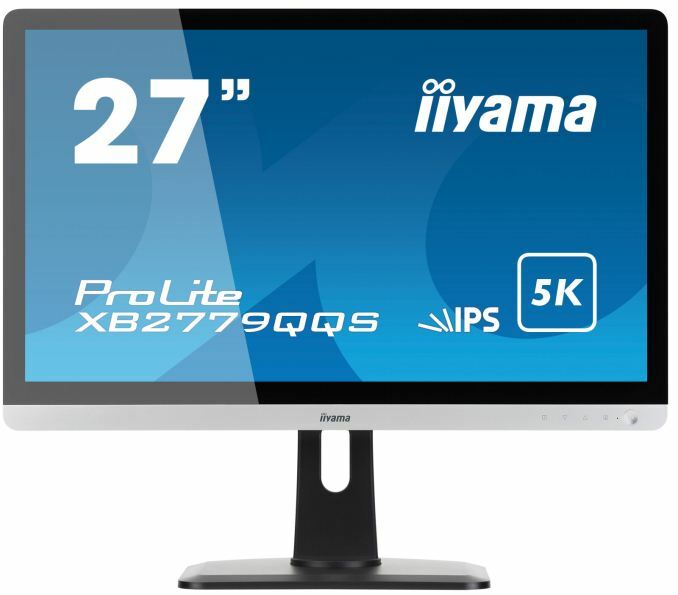 The Iiyama ProLite XB2779QQS monitor relies on a 27-inch 6-bit + A-FRC IPS panel featuring a 5120×2880 resolution, a 440 nits typical brightness, a 1200:1 contrast ratio, a 4 ms response time, a 60 Hz refresh rate, and 178°/178° viewing angles. The LCD is equipped with a LED backlighting featuring a flicker-free technology, which is common on many displays these days. In addition, the screen is covered with glass from edge to edge, that can produce a glare. The ProLite XB2779QQS is among the first 5K monitors to use a 6-bit + A-FRC IPS panel - its predecessors aimed at professionals were based either on 8-bit + A-FRC, or even 10-bit panels. A 6-bit + A-FRC panel is considerably cheaper than the aforementioned types of display modules, but at a cost of color accuracy. Iiyama says that its 6-bit + A-FRC IPS panel can display 16.7 million colors (vs. 1.07 billion on professional LCDs), but it never mentions color spaces that the monitor supports internally and how well it covers them. It is completely reasonable to expect the XB2779QQS-S1 to support some form of sRGB, but it is unlikely that the display can handle a high percentage of DCI-P3. The new ProLite XB2779QQS display requires a DisplayPort 1.4 connection to support a 5K resolution at 60 Hz. By contrast, existing 5K monitors use two DisplayPort 1.2 streams (either via two DP cables, or one TB3 wire in case of the LG UltraFine 5K). 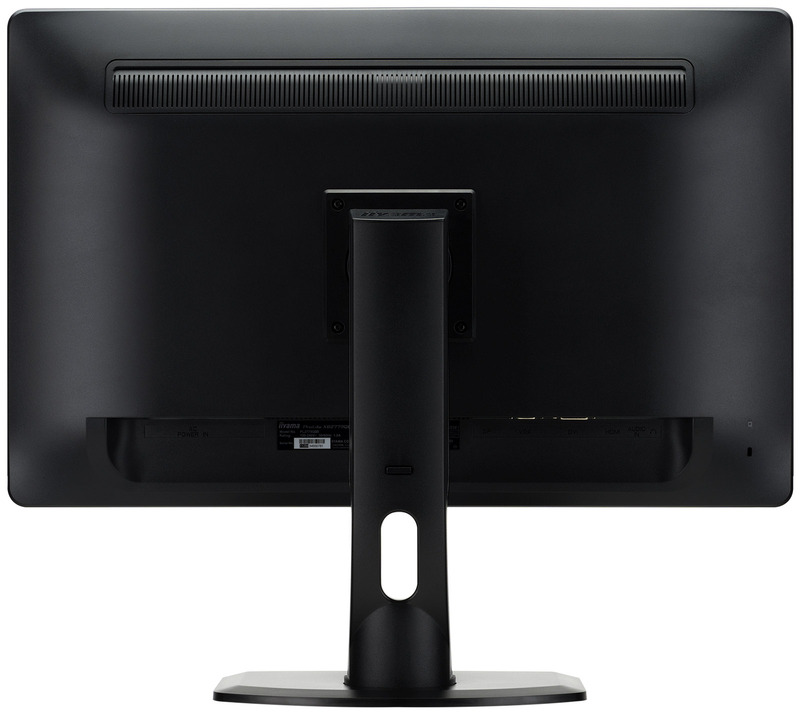 In addition to DisplayPort 1.4 inputs, the ProLite XB2779QQS also has HDMI 2.0 connectors, but the monitor can only support a 3840×2160 resolution at 60 Hz over HDMI. Like many prosumer displays, the ProLite XB2779QQS supports height, swivel, and tilt adjustments. In addition, the monitor features two 2.5 W speakers and a headphone connector for added comfort. Iiyama formally introduced its 27-inch 5K monitor early this month and by now the monitor is available from Amazon in France, Germany, Japan, Spain, and the UK. It is possible to order the ProLite XB2779QQS in the US, but since it is imported from Japan, its price looks a bit high. The monitor costs around $900 in most of the countries, which is a very reasonable price for a display that has a 5120×2880 resolution, a 440 nits typical brightness, and a 1200:1 contrast ratio. The 6-bit + FRC-A panel naturally has its limitations and the DisplayPort 1.4 might be a limitation, but considering all the other advantages the display has, the monitor still looks very competitive for people who need a 5K resolution. I would rather have 38" at 5k and zero or 1:1 scaling. I want to make use of the actual real estate. As for kanji and kana, that would be more useful too without scaling. Everything's better without scaling or virtually cutting the useable resolution down. I'd even rather have slightly blocky but perfectly aligned kana/kanji and roman text via true type per-font byte code pixel alignment which is what CKJ has always used on Windows rather than vector fonts that have to rely on blurring edges and using blurry thick lines like Mac. That's all great but also all really personal. I LOVE high-dpi displays. My visual acuity when corrected is pretty average, I just find text -way- more readable when it's composed of a decent amount of pixels. Fine, let me clarify. When I say that I'm not sick of things "being worse" than they were twenty years ago, I mean that I'm sick of the basic minimum standard of twenty years ago being an expensive premium option now. 24-bit color should not be a goal to aspire to, reserved for premium products. Computers should not be GETTING WORSE as time goes on. I dare say that 30-bit color should be standard by now, but... we can't even get 24-bit color reliably because of monitor manufacturers deciding that a minimum standard should be a premium feature.